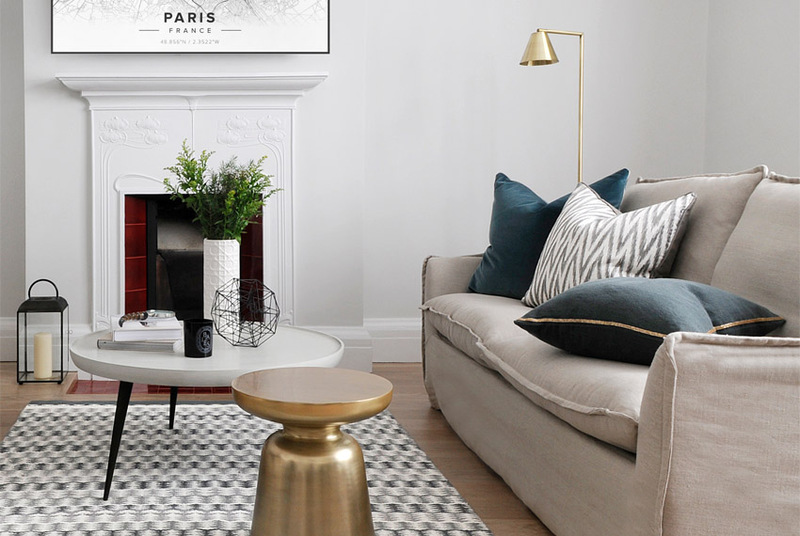 With the summer holiday season upon us, and everyone thinking about taking time to relax, we decided to reflect on what makes our living room designs places that our clients can really feel able to retreat to and unwind. We sat around our lovely oak trestle table in our design studio in Chelsea Harbour and compared notes and shared our thoughts. 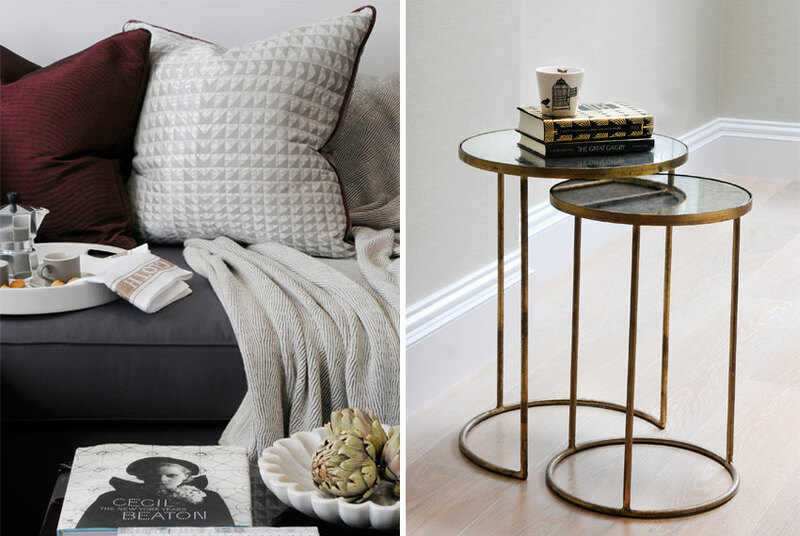 Here are a few of the ingredients we think make our living rooms the perfect sanctuary for our, often, super busy clients; balancing style, luxury, and comfort. Our director sits on everything we supply. As well as looking great, a sofa or an arm chair has to be super comfy. We have worked hard with our suppliers and upholsterers to ensure that our clients can sink back in to comfort every time they go and relax on their sofa. We use the very latest sofa inners to give the maximum comfort factor as there is nothing less relaxing than walking into a room where the sofas and chairs need plumping every time someone has sat in them. Our comfortable cushions are made of the latest high-tech materials that ping back to shape as soon as you get up. We choose fabrics that not only look wonderful but also feel wonderful. No one wants to sit on a prickly chair! All our upholstery fabrics are hard wearing and fit for purpose, while at the same time are tactile and feel great to sit on. We are known in the industry for creating havens of calm serenity. 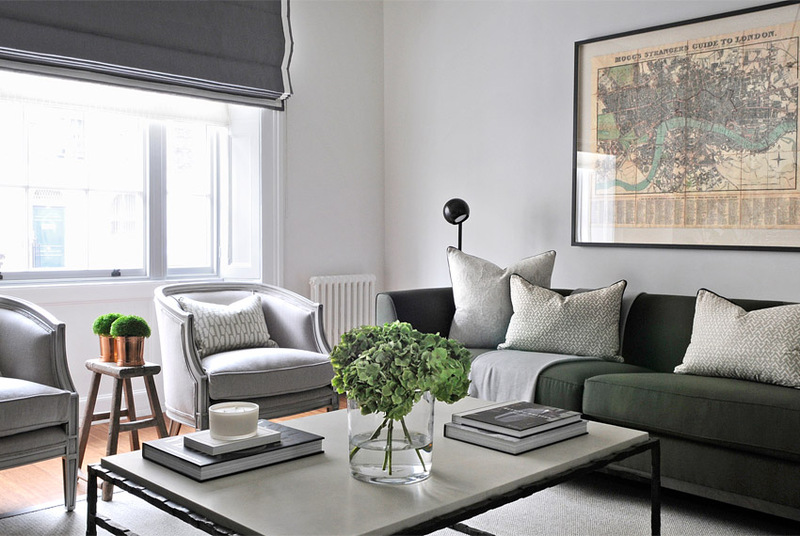 Much of this relaxing vibe is created by choosing palettes of calm colours that co-ordinate together and give a space that relaxed feeling so many of us crave to live in and retreat to in these hectic times. The design team here are expert at making the very best of the space available. A room crammed full of furniture feels chaotic yet an empty shell with just a few pieces can feel cold and unwelcoming. 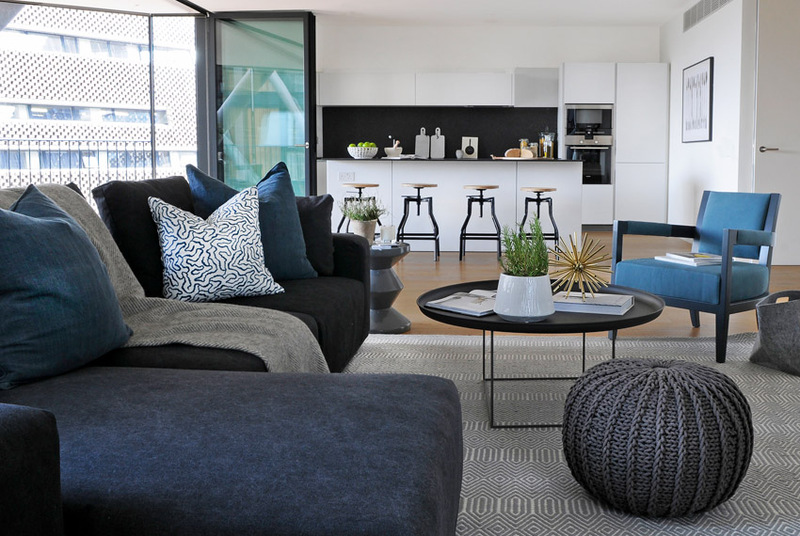 We work on just the right balance and scale of furnishing in a living space so that our clients and their families can live harmoniously and happily together!